Refer to either the December Consolidated Statement or eStatement via digibank Online and look for Total Interest Charged. 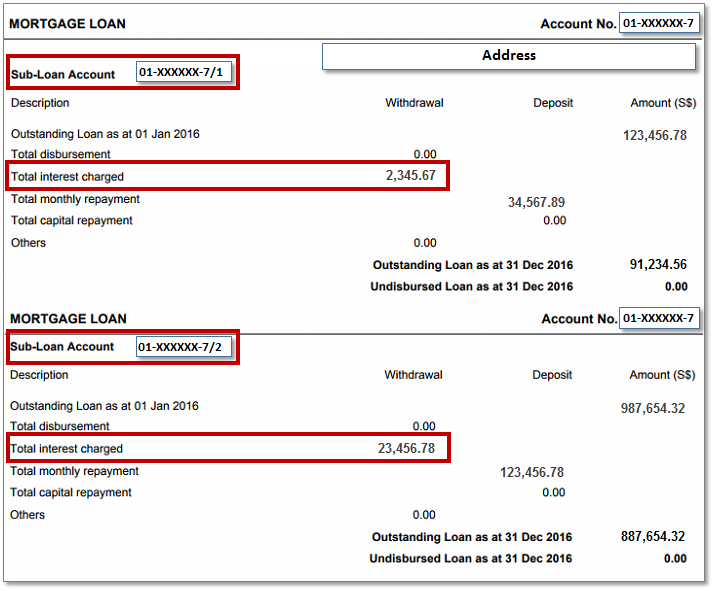 For customers with multiple sub-loans, refer to both sub-loan accounts in the December Consolidated statement or eStatement to add up the Total Interest Charged respectively. If any sub-loan(s) was redeemed during the year, please refer to the detailed statement of account sent after the closure of the sub-loan(s).